Why should you tour Maui with Temptation Tours? Well, there are really a ton of reasons. Our luxury Limo-Vans are comfortable and spacious, and our tours accommodate a maximum of six to eight guests for a truly customized experience. We visit some of the most spectacular, breathtaking locations on Maui, and offer the most unique tours around. 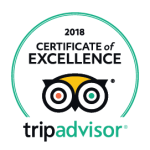 One of the most compelling reasons to travel with us, though, is our amazing group of Hawaii-Certified Tour Guides, who exceed our guests’ expectations time and time again. Each and every one of them is a true professional, and they make sharing paradise with our guests their livelihood—and they love it. We love hearing from our guests, and regularly receive accolades about every aspect of our tours—our luxury Limo-Vans, our Pacific Rim cuisine picnic lunch, and of course, the incredible sights and scenery that Maui offers. What do we hear about the most, though? You guessed it—our Tour Guides! Our Driver Guides go above and beyond every day to give our guests the experience of a lifetime, and when we hear back from our guests, we know our Guides have done their jobs and so much more! 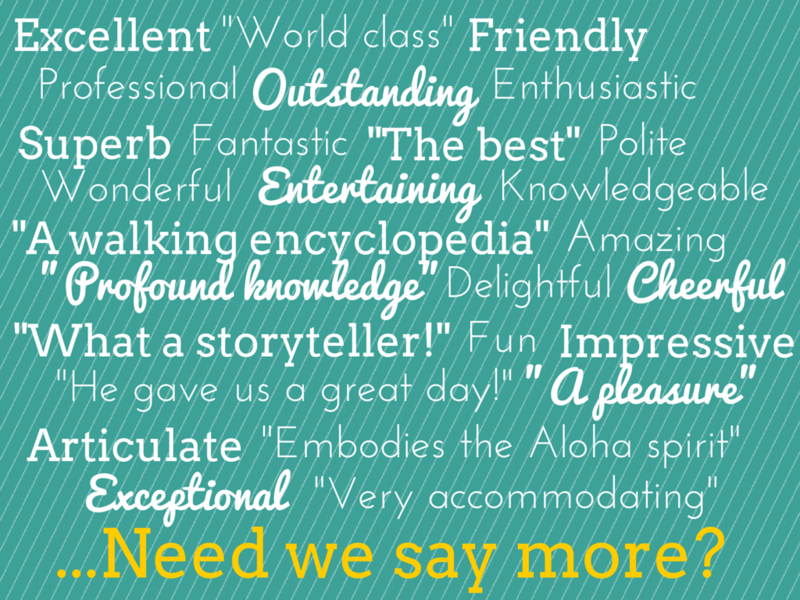 Want to know what people are saying about our Tour Guides? Check it out! Our Tour Guides are all of the above… and then some! 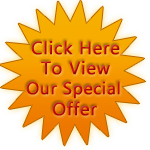 See for yourself, and book today! After you’ve enjoyed a day on the Road to Hana, and a very early morning atop Haleakala, you might think you’ve done everything that Maui has to offer. If you want to just plant yourself by the pool or the beach for the rest of your trip, there’s nothing wrong with that. If you are looking for something else to do, you should consider taking at least a half day to check out the town of Wailuku, Maui’s county seat. With a sprawling industrial area, a unique downtown, and plenty of historical spots, Wailuku really does have something for everybody. If you’ve got time to explore after a Hana Sky-Trek, or even after an early check-out before a later flight, here are the top five places in Wailuku you may want to check out! This unassuming yet charming little structure houses one of Maui’s best collections of local history. Right off Main Street is a charming historic home known as the Bailey House. Housing a collection of pre-contact Hawaiian artifacts, 19th century landscape paintings, and so much more. Previously inhabited by missionaries and sugar-growers Edward and Caroline Bailey, parts of the home have been preserved in their original 19th-century style. Visiting the bedrooms on the second floor– complete with beautiful antique Hawaiian quilts– is definitely a highlight of visiting the museum. The huge collection of ancient Hawaiian artifacts is also fascinating, along with the collection of Hawaiian land snails. 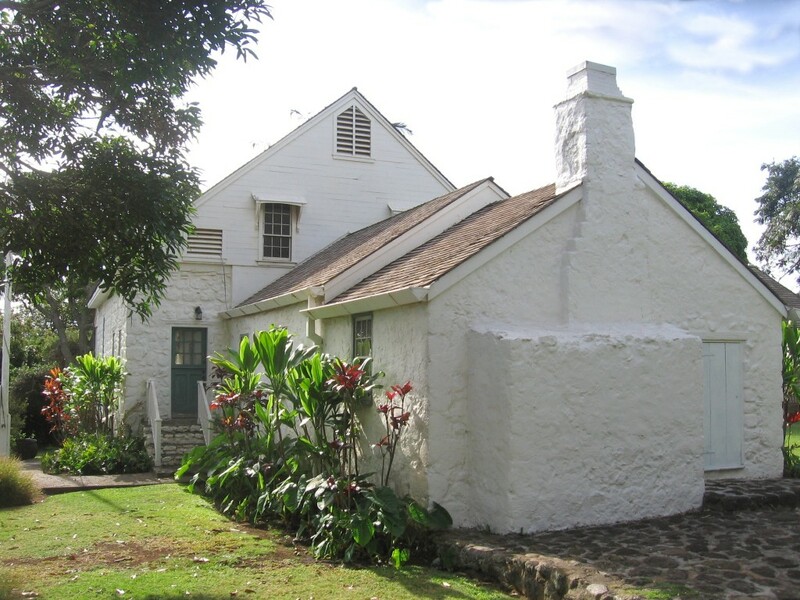 If you’re looking to get a little Hawaiian history while visiting Maui, the Bailey House Museum probably offers one of the most broad collections of art, exhibits, and information on the island. Outside the house, you can peruse endemic Hawaiian plants, and even see a surfboard owned by Duke Kahanamoku. Finally, a charming gift shop offers books, art, and Maui-made crafts,perfect to remember your visit to this serene and fascinating museum. A trip to Maui wouldn’t be complete without a visit to peaceful Iao Valley. 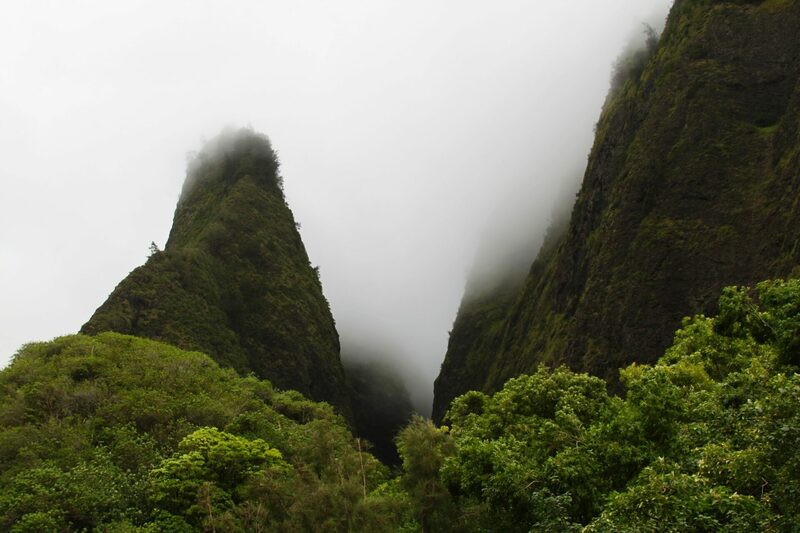 Iao Valley is just one of those places where you get that unmistakable “Maui” feeling. Cool and dewy, this rainforest area has a “mystical” air about it, and is definitely a nice contrast from the sunny, busy resort towns. Sure, you’ll be in the company of other visitors and some locals, but once you get farther into one of its hiking trails, you’ll definitely get a sense of peaceful seclusion. While you’re there, be sure to hike the stairs to the top of Iao Needle, and get a bird’s-eye view of the lush valley. On a personal note, my now-husband and I hiked through Iao Valley on our first date, so of course, this is one of my favorite places in the world! 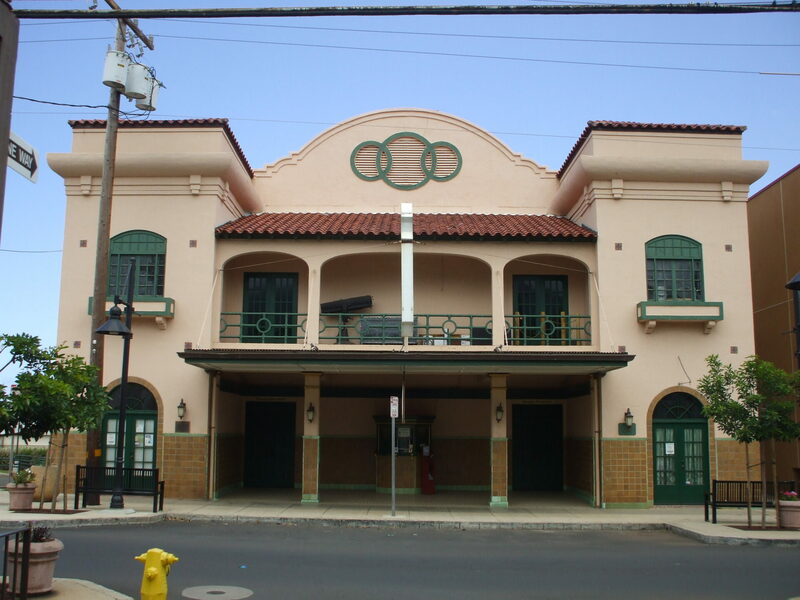 Beautifully restored inside and out, Iao Theater is one of the highlights of a stroll down Market Street. Market Street (and a few blocks of its intersecting roads, Main and Vineyard) make up one of the most eclectic shopping and dining areas on Maui– apart from maybe Paia. This area has an off-kilter, hipster vibe that is definitely right at home in the quickly-growing town of Wailuku. While you’re strolling the sidewalks, check out the quirky coffee shop, the vintage record store, and the local clothing company. Plenty of other unique storefronts line the block, so you’ll definitely find something that speaks to you. 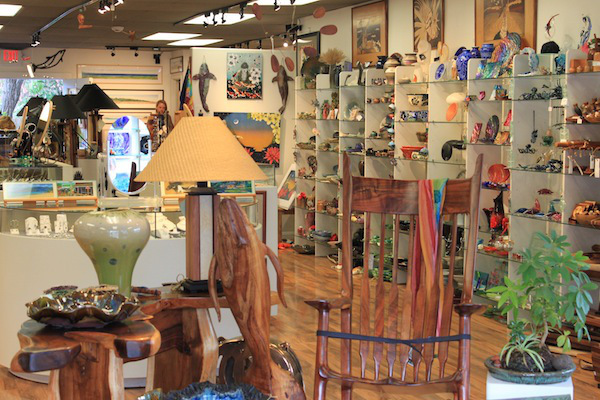 Check out the pawn shops and antique stores too– you’ll find some unique Hawaiiana perfect for gifts and souvenirs. I could have grouped this with #3, since it’s the same area, but First Friday totally transforms Market Street and the surrounding area into a completely different experience. The road is closed to vehicle traffic, so it’s just one big block party that kicks off at 6:00 PM on the first Friday of each month. Each month is slightly different, but look out for live music, art exhibits, magicians, fashion shows, and more. There’s plenty of food, too– different organizations and companies set up food booths selling something for every taste, and most of the area restaurants keep their doors open late for First Friday specials. You’ll find plenty of unique treasures, as local vendors sell Maui-made art, clothing, jewelry and more. There’s even a beer and wine garden, where you’ll see plenty of old friends exchanging hugs and warm greetings everywhere you look. First Friday is where Wailuku comes together, and if you have a chance to experience it, don’t miss it! 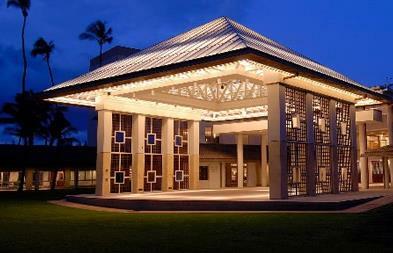 Maui Arts And Cultural Center The Maui Arts and Cultural Center is a beautiful venue for music, dance, comedy, and theater. Skirting the divide between Wailuku and Kahului is the Maui Arts and Cultural Center (or, “the MACC”), a truly world-class venue for everything from intimate performances by local artists to sold-out rock concerts featuring the likes of James Taylor, Elton John, and many other top names in the music industry. There’s something on its varied calendar almost every day, so this is something to look into before your trip. You might get a chance to catch your favorite band, singer, or even stand-up comic while you’re vacationing on Maui! Virtually every show is catered, and it’s wonderful to sit out under the stars in their charming pavilion to dine, sip, and mingle before a concert. Even if you can’t make it to the MACC for an evening show (seats for top artists sell incredibly fast), check out afternoon film showings, chamber music concerts, and their year-round art gallery located on the grounds. Whether you want a taste of local Hawaiian culture, or enjoy performances from around the world, there’s something at the MACC you’ll love! I don’t know about you, but whenever I go on vacation, I bring an extra empty suitcase, and fill it with treasures that I can’t find back home. I’m sure a lot of you are thinking about that same plan for your trip to Maui, so here are some ideas on perfect Maui (and Hawaii!) souvenirs. Buy Local: This might be obvious (“Of course I want truly local souvenirs!”) but you’d be surprised at what passes for Hawaiian. Those tiki guys lining the shelves at major retailers on Maui? Most likely, they’re not even made in the US, let alone Hawaii. Check tags, or, even better, visit Maui’s Farmer’s Markets, craft fairs, and unique art and gift shops, and you might have a chance to talk to the artisans themselves. Hawaii artists take pride in locally-made products, and you can bet they’ll be higher quality, more authentic, and hold much more sentimental value to you than a mass-produced trinket from the clearance rack. For one of the biggest selections of locally-made jewelry, art, and crafts, check out Maui Hands. With four locations, you can certainly find a moment to stop in and browse some incredible finds! Think Outside the (gift) Box: When choosing gifts for friends and family, try to stay away from the same-old t-shirt and dashboard hula girl route. Choose gifts with meaning—pick up a framed photo of those beautiful flowers your sister would love to grow in her garden; get a few bottles of that locally-made hot sauce for your co-worker’s famous chili; or inquire about some gift certificates for your best friend who’s making her journey to Maui in a few months. If you want to give your friends an “up-close-and-personal” experience with Maui’s natural beauty, send a tropical bouquet their way– fresh from Hana! We love the beautiful, DIY flower arrangements from Hana Tropicals. 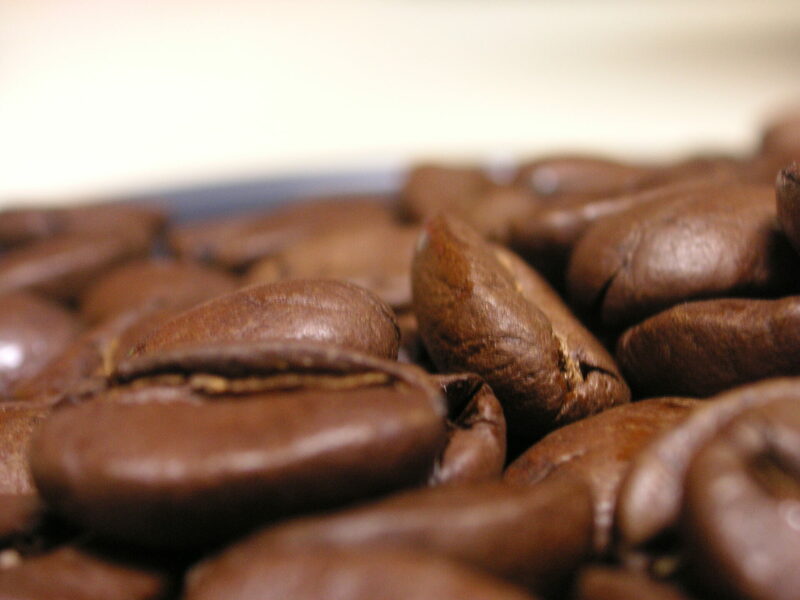 Delicious, Hawaii-grown Kona Coffee is a great way to share the flavor of the islands! Don’t Forget Yourself: Sometimes it’s hard, when you have a long list of folks to buy for, to remember yourself. Do your research, take your time, and find that perfect keepsake that will send you back to a tropical paradise each time you see it. Remember your Haleakala Sunrise with a painting or photo depicting all the beauty of that “top of the world” experience created by a local artist. Or remember all you learned from your tour guide about Native Hawaiian plants with a koa wood bowl or even a sample of traditional kapa cloth. Most importantly, whether you’re buying for yourself or someone else, keep it Hawaiian, keep it unique, and make sure it speaks to your experience while visiting our islands. Rather than picking up a mass-produced, cheesy t-shirt, truly put some thought into what will help you best keep the spirit of Aloha in your heart and home.